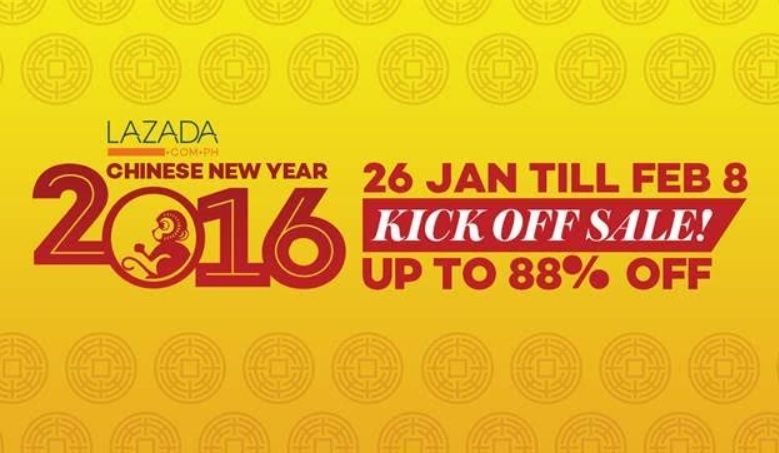 Lazada Philippines, the country biggest one stop shopping and selling destination, welcomes 2016 with a Chinese New Year Sale happening this coming January 26 until February 8. 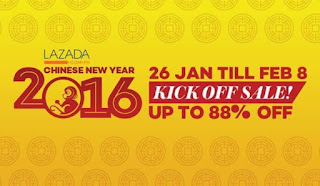 The Lazada Chinese New Year 2016 Sale features a wide array of items with discounts as high as 88% across different categories. Not only that, shoppers can also avail the Lucky 88 and Lucky 888 deals. Some of the items included in the Php88 deals are Diva Designs Swarovski Crystal Heart Studs and Casio Beside Men's Silver Stainless Steel Strap Watch. Meanwhile, items like the Nankai-02 20000mAh Power Bank and Oli Casual Mstyle Low Cut Sneakers will be under the 888-peso deal. Not only that, during the two-week sale period, consumers will also be able to get huge discount vouchers and other special deals from the on-site game wheel of fortune. 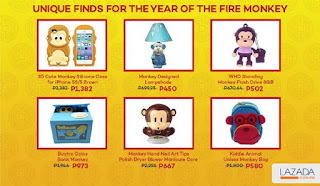 And, since it is the year of the fire monkey, there will items on sale that are literally related to it, such as 3D Cute Monkey Silicone Case for Php1,382, Kiddie Animal Unisex Monky Bag for Php580 and Monkey Designed Lampshade for Php450. 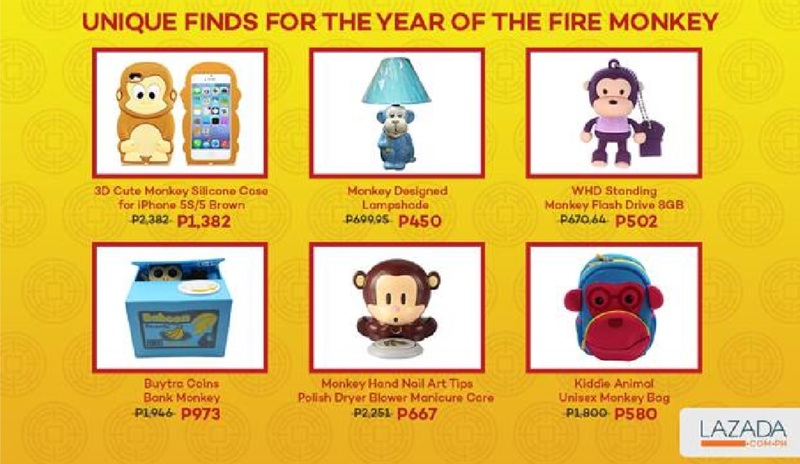 Last year, Lazada PH also held the same promotion and knowing them, we believed that there will be more to come this 2016. The Chinese New Year 2016 Sale is available in both desktop and mobile platforms.